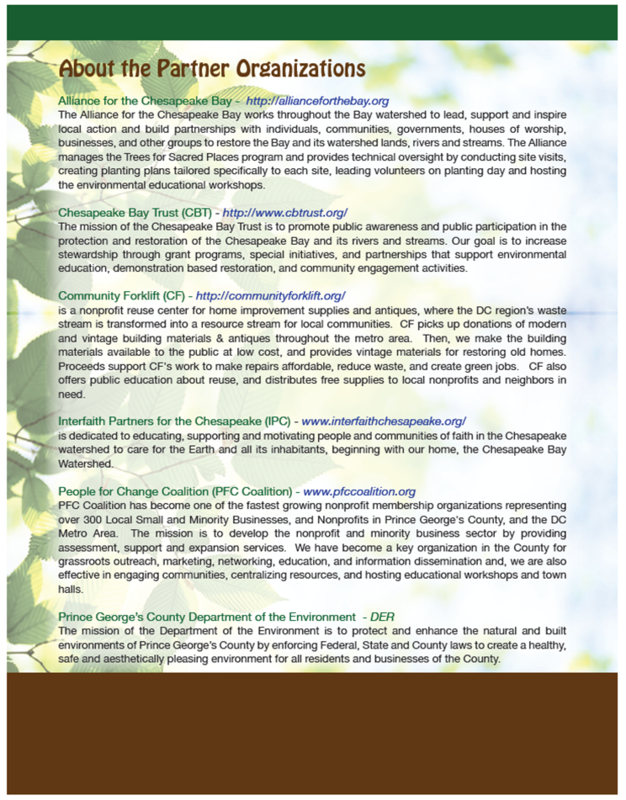 Home » Blog » Free trees for congregations in Prince George’s County! 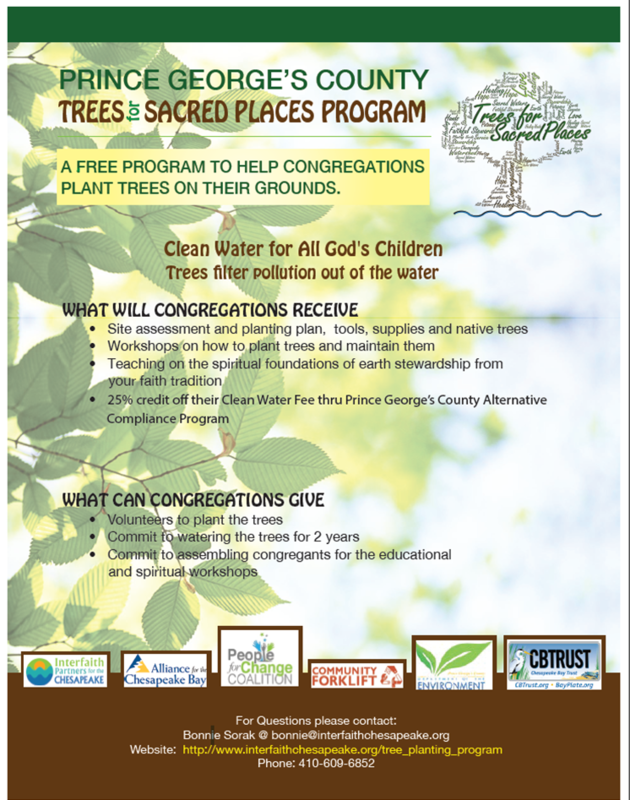 Free trees for congregations in Prince George’s County! Hello Forklift Fans – did you know that there are free trees available for religious communities in Prince George’s County? 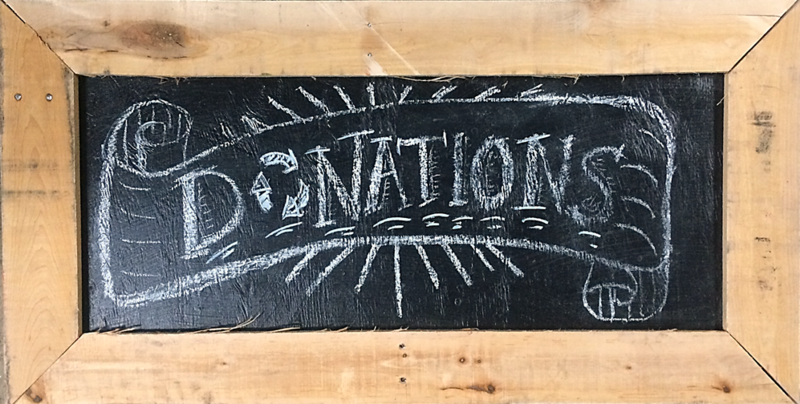 Trees for Sacred Places is wonderful program that can help your congregation save on clean water fees. Please spread the word!